[James] Bond...looked carefully at the barman. 'Certainly, monsieur.' The barman seemed pleased with the idea. 'Gosh, that's certainly a drink,' said [Felix] Leiter. 'I would love a glass of vodka,' she said simply, and went back to her study of the menu. - Excerpts from "Casino Royale" by Ian Fleming, published 1953. 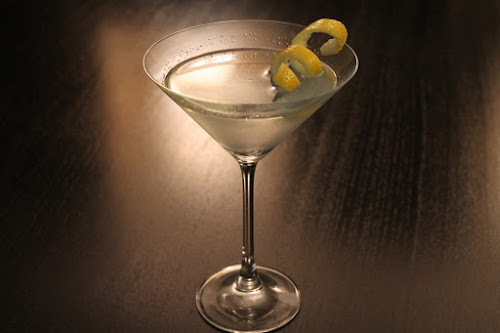 In celebration of National Dry Martini Day today, I'm presenting one of the most iconic drinks of literature and film: The Vesper. It's not to be mistaken for the far simpler usual order of Mr. Bond, the vodka martini, shaken not stirred, although it has some similarities: it includes vodka, although more gin and, notably, it is also shaken. Intriguingly, it's a drink that's actually impossible to make faithfully. As written, The Vesper is made with the French aperitif Kina Lillet. However, the Lillet company reformulated Kina Lillet in 1986 as Lillet Blanc, a less bitter, fruitier aperitif. Thus making a Vesper with Lillet Blanc will deny the drink it's original bitterness. Instead of Lillet Blanc, there are many that stand by Italian aperitif Cocchi Americano as a better substitute, since it contains quinine, the bitter compound in tonic water that makes gin & tonic so distinctive. 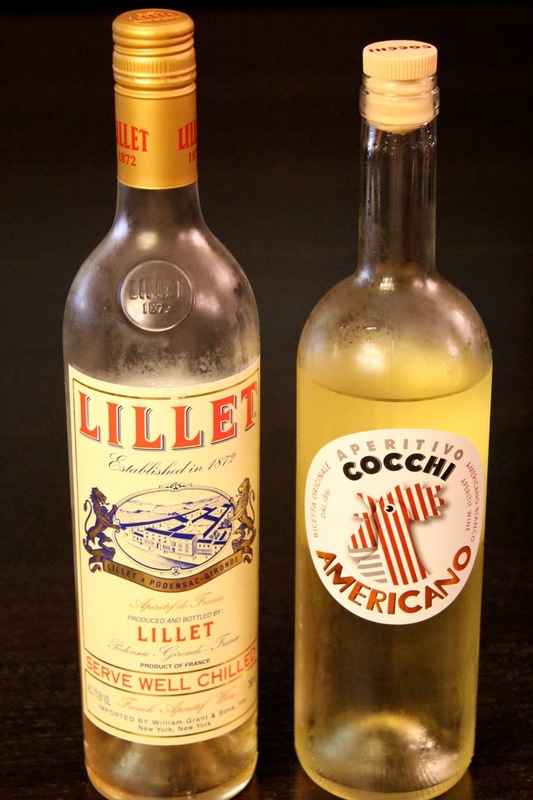 Tasting the two side-by-side, they are clearly very different: Lillet Blanc is tasty but unassuming like a fairly sweet wine wine. Cocchi Americano, on the other hand, has the distinctive bitterness of quinine, which the original drink with Kina Lillet would've had as well. It's up to you which to use, but I went with Cocchi Americano. Another aspect of this drink that's up for debate is whether to shake it. Sure, it's classic that Bond shakes his martinis, but most cocktail pros suggest that's a no-no. Shaking is for drinks with ingredients that are hard to combine like syrups and fruit juices, but a drink like this that's just spirits should really be stirred. Leo Robitschek, beverage director for The NoMad, is certainly someone who knows what he's doing behind a bar. In this video, he suggests stirring The Vesper, and I'm not going to argue with him. Combine gin, vodka and Cocchi Americano in a cocktail mixing glass with ice. Stir until combined and cold and strain into a martini glass. Garnish with the lemon twist. Drink while listening to a classic John Barry Bond score. Vesper martini cocktail is my favourite, it taste is awesome when it combines with lemon and gin. Thanks! I didn't used to be into martinis, but I'm quickly warming to them, and this is a great one. You mean James Bond has been ordering his drink wrong all these years? What a chump. I think it fits the man - take something elegant and sophisticated and mess it up a bit.